Zero Bounce is an Email Validation System that offers a number of services and is a WordPress plugin system which allows you to redirect visitors on your site to different sites should they want to leave. Using Zero Bounce, it becomes easy to reduce the bounce rate of your website. Lowering the bounce rate in turn makes it easier to ranking better among the search results. Zero Bounce has WordPress plugin too, so it is very easy to use Zero Bounce created in WordPress CMS. Zero Bounce gives you various options like redirection, deactivation of redirection, update of posts through individual URL settings as well as generation of a code based on the site settings. This last feature was added to the Zero Bounce 2.0 version. There are many features we need in our email validation system. 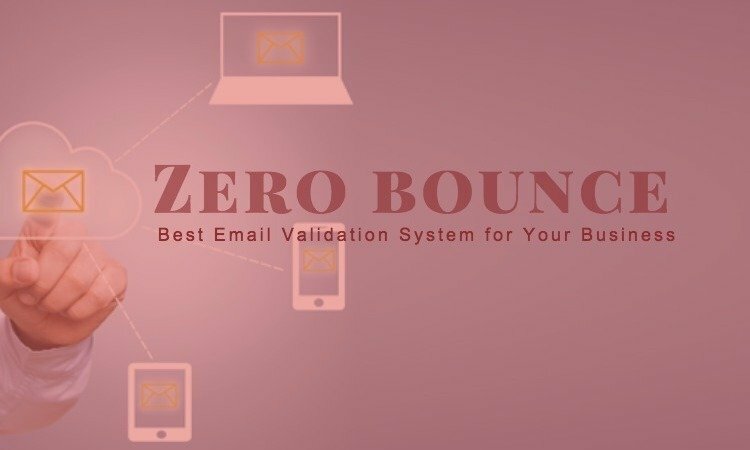 We are using Zero Bounce from quite a long time now and thought to share the review of the service if you are in the hunt of the best email validation system. 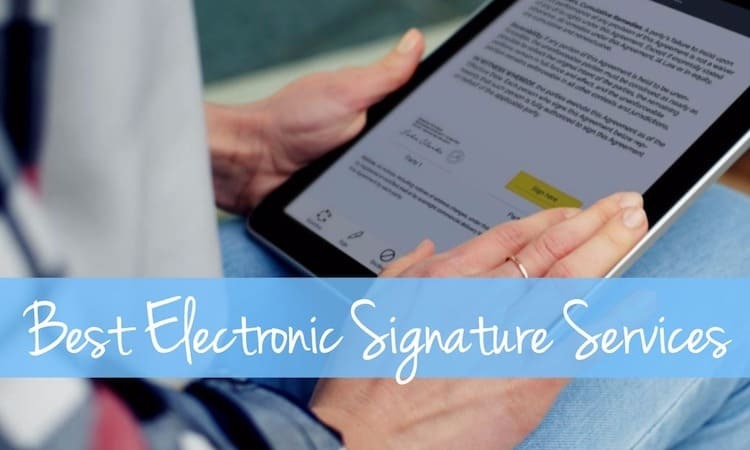 So, sit tight and check the review of Zero Bounce while acclaiming themselves as one of the best email validation system. Often the website ends up with a lot of emails that might turn out to be invalid for you. These invalid emails, if not removed, might affect the quality of your website and the rate of deliverability. 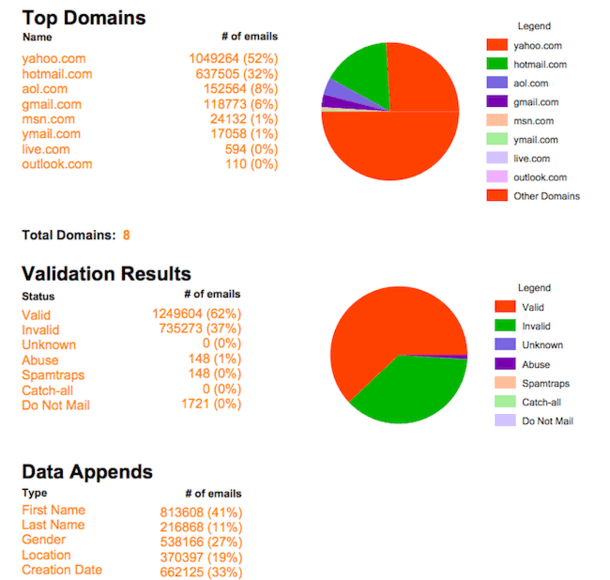 Zero Bounce will detect these invalid emails and remove them effectively, reducing email bounce by a lot. This acts as a security feature for your website. The site might get spam mails or various emails that are abusive or simply unnecessary. Therefore, it is essential to detect such mails and remove them. Zero Bounce removed all such emails and frees up space in your website, and this enhances the performance of the website. Toxic Domain Detection: This is used for determining any abusive or spam, invalid emails, as well as bot created emails that are available for domains. Some data may go missing from your website and it gets difficult to append or recover. The Email Data Append can easily append the data that has gone missing. 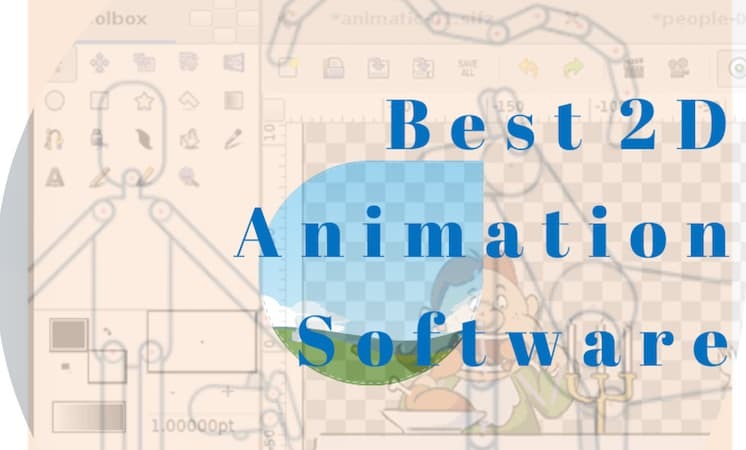 This can be done by determining the location, gender, first and last content, and if the registration IP is available or provided to the system, then the system can append data according state or region, city, zip code or even by country. Zero Bounce has an email verifier system which allows you to distinguish temporary and real email addresses and identify the email accounts which have been used to hide original email addresses. This feature gives you an API to hook on to the software on your website and automatically validate all emails. Zero Bounce uses this feature to identify domains and also verify that their return emails are valid. Zero Bounce gives an informative report your data looks on the website. 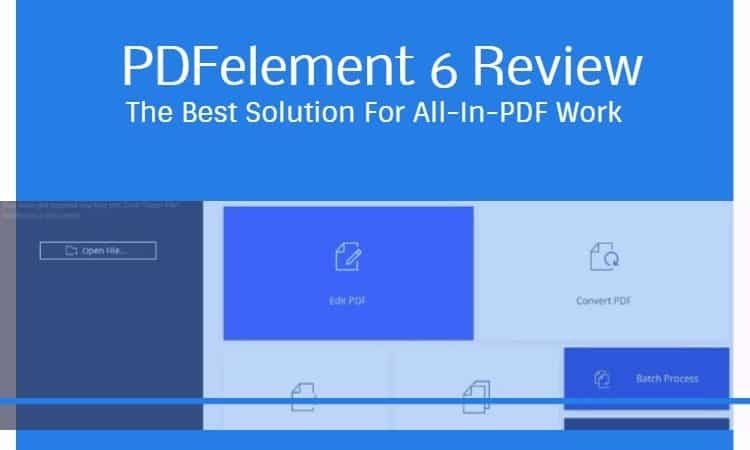 The report is detailed and gives a larger view on the workings of the website and its appearance. Zero Bounce offers 100 free email validations to first time users. For the rest, after registration, the services are divided accordingly into four lists; each costing $150, $250, $400, and $750, respectively. For $150, 100,000 email validations are provided, for $250, 250,000 email validations are provided, for $400, 500,000 email validations are provided and for $750, 1,000,000 email validations are available. Additionally features like Catch All Domain Detection, Email Abuse Detection, Email Validation API, Email Gender Append, Toxic Email Detection, Disposable Email Detection and Bounce Detection are also available. Zero Bounce also has an offer that gives 5000 email validations and $10. USP or Unique Selling Proposition is mostly the marketing strategies and advertising techniques used by companies to sell their services or products. Zero Bounce follows the simple theory of having an accessible website with detailed information for all potential users. Also, the system is available at a low price and there a number of offers that can be used. The Email Validation System is extremely easy to use after installation and is very convenient especially for new users. Generation of codes or pieces of code is also possible and these codes can be used on HTML sites. Zero Bounce’s Email Validation System works quite fast and is especially efficient in cases of reducing email bounce and Spam detection. Zero Bounce also has a 30 day money back policy in case their services are not favorable for you. The installation via WordPress is sometimes tricky and not very convenient for amateurs. Zero Bounce might not be usable or supported by all websites. 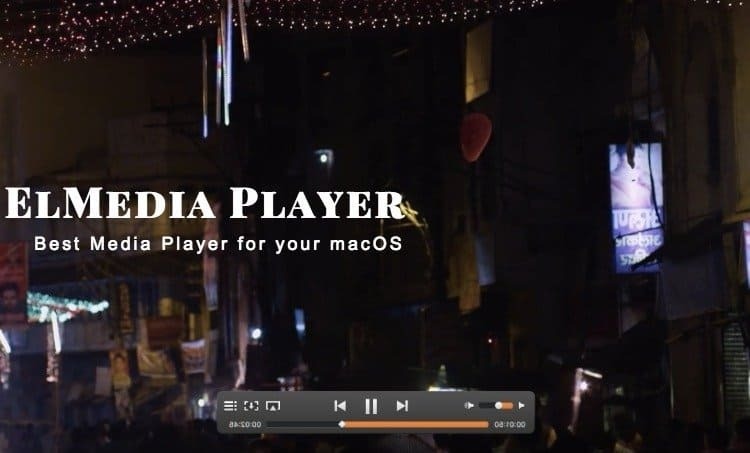 It has to constantly update to its newer or pro versions. Zero Bounce has no serious issues that should discourage its usage. In fact, it is quite convenient and one of the best email validation site. Zero Bounce caters to all kinds of users, for example, bloggers, individual professionals, companies as well as amateur entrepreneurs who would like to open up their brand to internet or email marketing. We appreciate you taking the time to review our email verification system and to share your opinion with your readers. Our website https://www.zerobounce.net is waiting for individuals and businesses to test out the service for free and get the most of their email list.